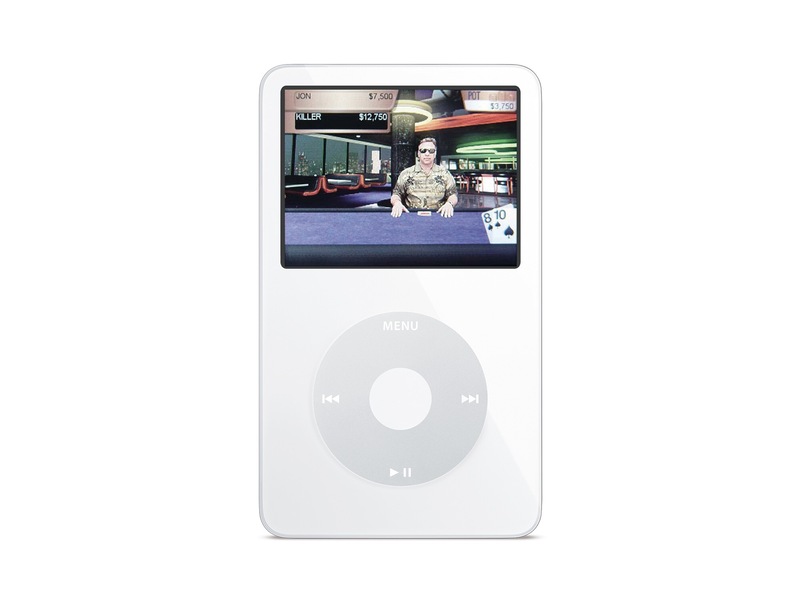 We start this journey through time with Texas Hold'em, which originally debuted on the iPod way back in 2006. That's right, this title started life out being played with a clickwheel. Texas Hold'em was one of several games announced for the iPod at the company's September 2006 music-focused keynote. EA had developed several titles, including classics like Tetris, Mahjong, but Texas Hold'em and Vortex were reported to have been developed by Apple itself. These titles were $4.99 each (with some demos available) and worked with the 5th generation iPod. 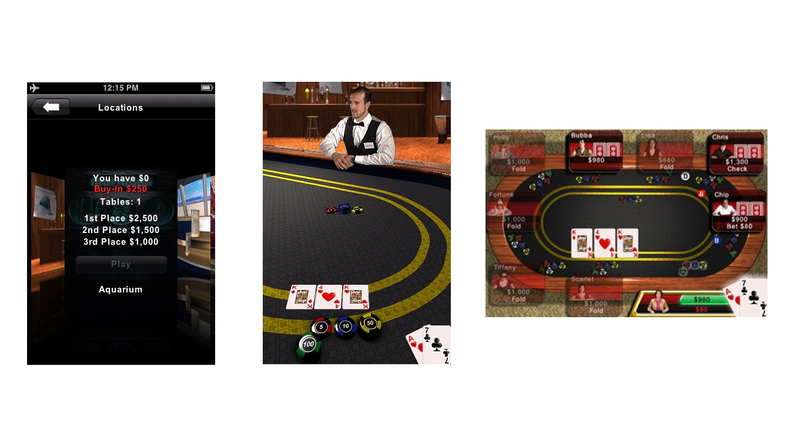 Go all in with Texas Hold’em, a new iPod touch and iPhone application. Play against realistic opponents in single-player mode. Or play over a Wi-Fi network with up to eight of your friends. Drag your chips to go all in. Flick your cards to fold. Double-tap the table to check. Everything that makes Texas Hold’em so wildly popular now fits in your pocket. And it’s available from iTunes for just $4.99. Texas Hold'em is an incredibly smart poker game with great production values, an easy-to-use interface, and great gameplay. A poker fan of any stripe -- newcomer or seasoned -- will find a lot to like in here. Best of all, Apple knows how to price a game. Five dollars is a true bargain, making Texas Hold'em an easy game to recommend. Texas Hold'em was off to a great start, but it seems that Apple lost interest in the project. The app was taken down from sale in the fall of 2011. Apple hasn't launched a first-party game since. In July of 2010, Apple held a press conference to address the Antennagate scandal that surrounded the launch of the iPhone 4. That press event wasn't praised by everyone in the press, but it ended with Apple giving any iPhone 4 customer a free case if they wanted it. Besides Apple’s black iPhone 4 Bumper (which is the only color of Apple’s bumper that’s available), you can also opt for the Incase Snap Case for iPhone 4 in Smoke, the Incase Snap Case for iPhone 4 in Clear, the Belkin Shield Micra for iPhone 4 in Clear, the Griffin Motif iPhone 4 Diamonds/Smoke, the Griffin Reveal Etch iPhone 4 - Black/Black Graphite, the Speck Fitted Case iPhone 4 - Black Tartan, and the Speck PixelSkin HD iPhone 4 - Black. Apple quotes a 3 to 5 week shipping time for all of the cases, and notes that case selection and availability are subject to change. Tapping on any of the cases will give you a description of the case as well as a photo gallery of a few images to allow you to get a better look at the prospective cases. When you’ve made your choice, you simply tap on the Select button for the case that you want. Apple will ask you to confirm your personal information (name, address, e-mail, phone, etc. ); tap Place Order and blammo, you’re done. Apple used an app to do this instead of its website so it could verify the serial number and IMEI of a customer's phone to ensure they were indeed using an iPhone 4. Assumedly, this was to cut down on people trying to pull a $49 heist over on Apple. iAds combine the emotion of TV advertising with the interactivity of Internet advertising, giving advertisers a dynamic and powerful new way to bring motion and emotion to mobile users. This all put Apple in an unusual position for the company. Apple both sold and served the ads, paying developers 60% of the revenue generated by the program. This all felt weird in 2010, and is hard to imagine now, just eight years later. The iAd Gallery is a celebration of advertising, featuring iAd campaigns from some of the world's best brands and their advertising agencies. The iAd Gallery gives you easy access to a selection of the fun and informative ads that have run in some of your favorite apps. Use the Browse feature to discover ads you haven't seen, or to find those you want to see again. Even lets you tag your favorites to a Loved section that’s all your own. Apple's new "iAd Gallery" iPhone app, which shows off the iAds that its advertisers have purchased, is theoretically in violation of Apple's own App Store guidelines, which the company published last year. Let us direct your attention to guideline 2.13, "Apps that are primarily marketing materials or advertisements will be rejected." The truth is, of course Apple won't reject its own app because it violates one of the Guidelines. They manage and have the ultimate word on the App Store, and they can release whatever they want under the Apple, Inc. name. But looking at the big picture, it is kind of funny that Apple is distributing an app that would have been rejected if it came from someone else. The app was quietly removed from the Store in July 2014, after being neglected for a couple of years. The iAd network itself followed suite in June of 2016. Cards was another Apple-built iOS app with a short life. 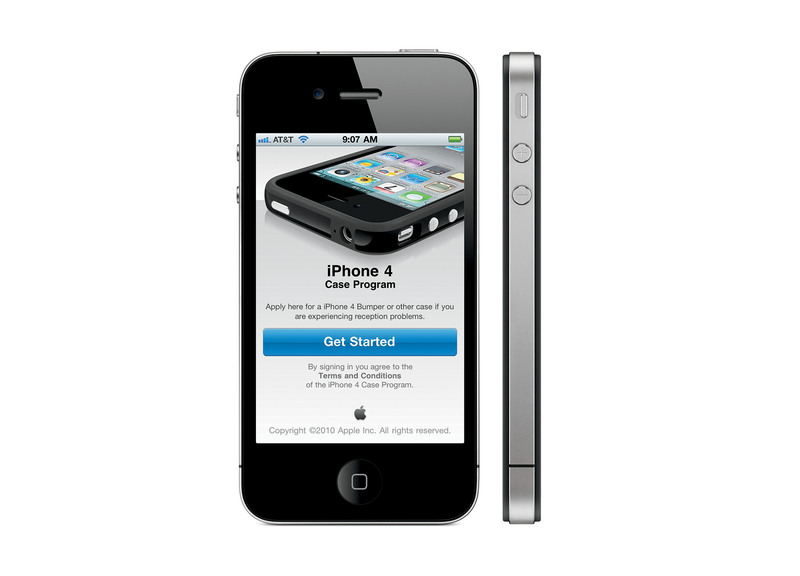 Introduced alongside iOS 5 in 2011, it was killed off in just two short years, going away in September 2013. In short, "Create a new cards service" should always be on your WWDC bingo sheet. 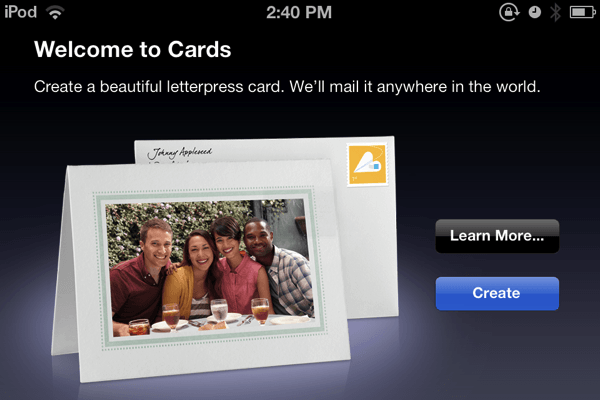 In March 2012, Apple announced iPhoto for iOS, a $4.99 version of its desktop photo client designed for editing and organization of digital photos. The app ran on the iPhone, iPad and iPod touch with an interface that could be a bit overwhelming at first. The whole app uses a series of skeuomorphic metaphors to lay out its interface elements. The library is made of glass shelves; albums are books; photos sit on top of a linen background; brushes are actual brushes and effects are organized inside a rotating menu/palette that I'll just embed for the sake of convenience. Let's not forget that the crop & straighten UI is driven by a rotating dial, too. Whilst liking or not liking iPhoto's UI is mainly a matter of preference, what I find interesting is that almost every function can be accessed in two ways: the skeuomorphic representation, and gestures. To crop, you can pinch and pan the image around; to adjust highlights/shadows and exposure, you can either use the sliders at the bottom , or tap & hold then swipe on screen to manually pick the amount of adjustment you want to apply. To adjust saturation, skin tones, blue skies and greenery, you do the same, only in a different tab. Some menus like white balance (9 choices in there) and the aforementioned effects are UI-only, but I think it's important to note how gestures are indeed becoming the new keyboard shortcuts that are capable of coexisting with the touch-driven interface. iPhoto also suffered from having to operate within iOS' very limited file management framework at the time, and was riddled with bugs. iPhoto 2.0 for iOS made it out in October 2013, and freed the app from its skeuomorphic shackles while improving performance, but I don't think it ever outran its poor reputation. iPhoto for iOS was replaced by Photos in iOS 8. 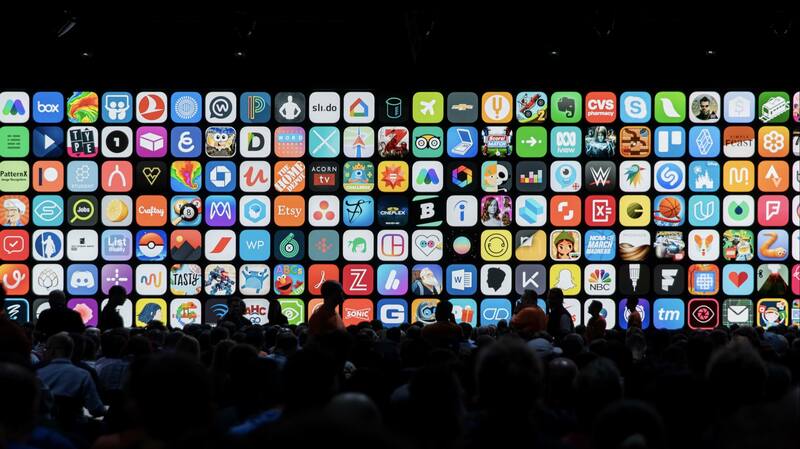 Today, Apple offers several apps on the App Store. Are projects like Music Memos or Clips doomed to fail like so many of their predecessors, or will they be folded into iOS itself at some point? If you are a fan of these apps, you should hope for the latter.